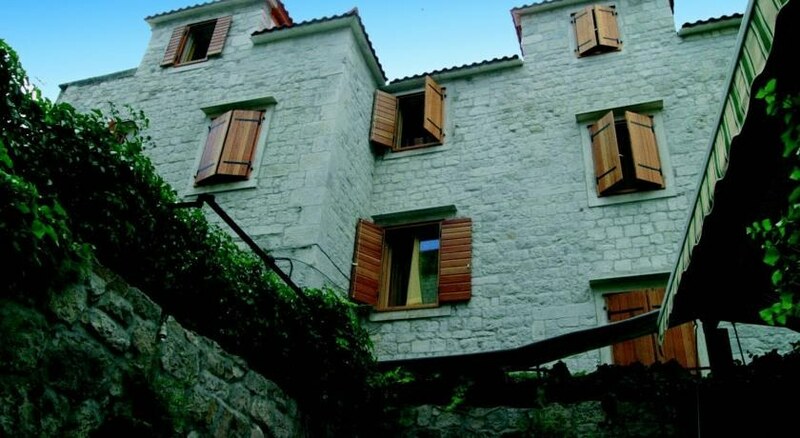 The property is situated in an old baroque palace from the 18th century in the very centre of Trogir, a city which is protected by the UNESCO. The hotel offers a restaurant with a long lasting tradition of serving home made specialities like pasticada, brudet, fish and much more. 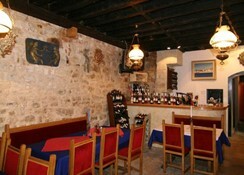 Every guest has the opportunity to combine himself his favourite meal.The friendly staff will be always happy to help. 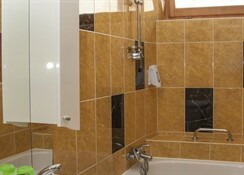 The hotel is only 20m away from the city square, the Pjaca and the famous St. Lawrence cathedral. 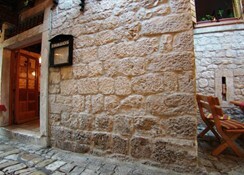 There are so many interesting features and stories lived and told in the silence of the narrow streets of the old town.The city gate has the iron spikes that once defended their citizens from enemies attacking the town.Nearby the old fishmarket was once used as accommodation for those who did not arrive to the town before the city gate was closed. 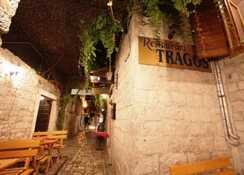 There is so much magic to discover and to feel in Trogir, so much beauty to see in this jewel of the Adriatic sea. 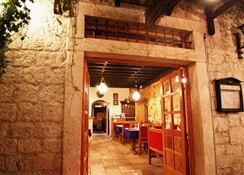 This lovely small hotel has 12 rooms which are decorated with a lot of style and air conditioned. Rooms are spread over three floors,all have light decor and clasic furnishings ,giving a cosy atmosphere to the place.The rooms are quite big and have a lot of light.Here the guest will have the opportunity of sleep on a real baroque palace,and feel all the magic of the old times.It is definitely an unforgetable experience. 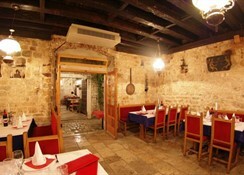 The property is located just 5km from Split Airport.There is a local taxi service from outside the airport to the hotel.The hotel also offer a transfer in /out for an extra charge.By car just take the E65 exit Trogir; past bus station on left & over stone bridge to Old Town; parking is on the right. Walk into old town and past cathedral on your left, turn right at main square; 2nd street on left.